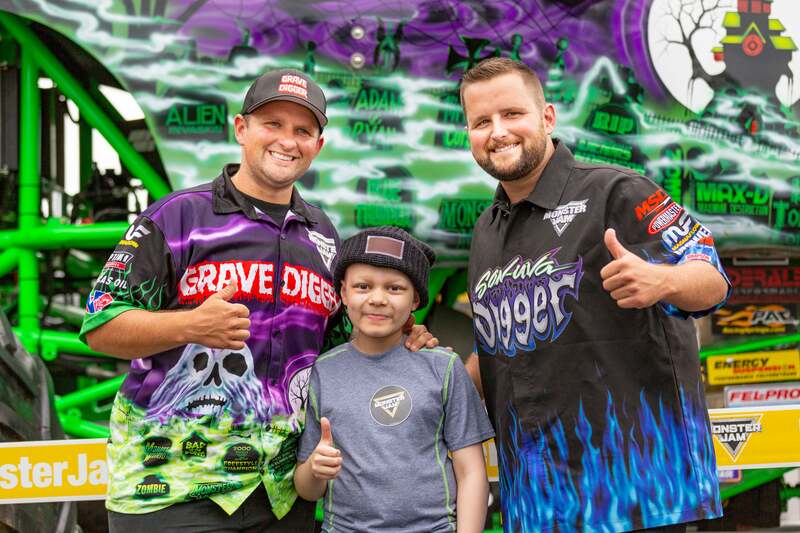 MINNEAPOLIS (August 6, 2018) — Feld Entertainment, the worldwide leader in live family touring entertainment, is thrilled to announce a partnership between Monster Jam®, one of the most accessible and family-friendly sports in the world, and Love Your Melon, an apparel brand dedicated to giving a hat to every child battling cancer and supporting the fight against pediatric cancer. These family-centric brands have teamed up to further raise awareness and funds for pediatric cancer by creating a limited-edition Monster Jam Love Your Melon beanie. Monster Jam Love Your Melon beanies are only available with an advance Monster Jam ticket purchase for select engagements. The beanies cannot be purchased separately and require one ticket per beanie purchased. Quantities are limited and are available on a first-come, first-served basis. Fifty percent (50%) of net profits from the sale of all Love Your Melon products is given to Love Your Melon's nonprofit partners in the fight against pediatric cancer. For more information and to purchase tickets to guarantee your limited-edition beanie, visit the Minneapolis specific ticket link via www.monsterjam.com/loveyourmelon. 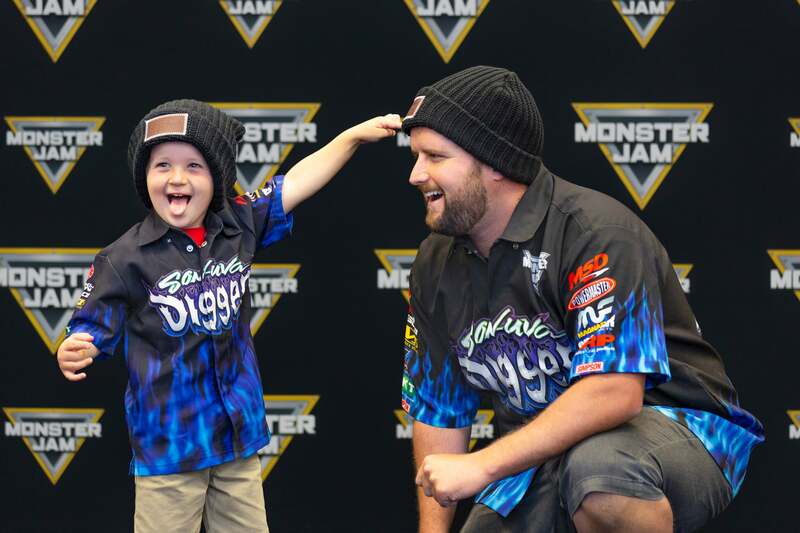 The Monster Jam engagement in Minneapolis at U.S. Bank Stadium on Saturday, Dec. 8, 2018 is one of a select number of cities offering the limited-edition Monster Jam Love Your Melon beanie. Tickets go on-sale September 25, 2018. 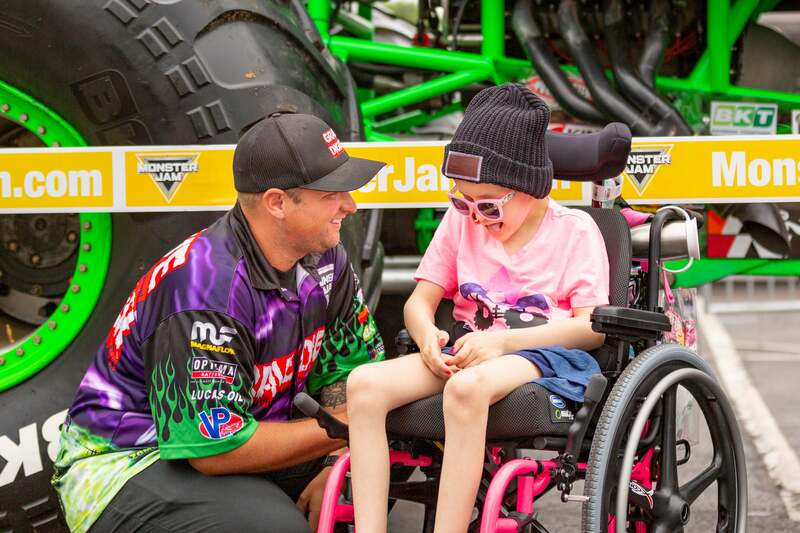 In addition to the limited-edition beanies, Monster Jam and Love Your Melon will partner on special therapeutic activities as part of Love Your Melon’s Superhero Adventures program, providing children and their family members with incredible experiences. Love Your Melon is an apparel brand dedicated to giving a hat to every child battling cancer as well as supporting nonprofit organizations who lead the fight against pediatric cancer. Zachary Quinn and Brian Keller founded the company in 2012 while the two were sophomores in college. Fifty percent (50%) of profits from the sale of all Love Your Melon products is given to Love Your Melon’s nonprofit partners in the fight against pediatric cancer. To date, Love Your Melon has given over 146,000 beanies to children battling cancer and contributed over $4.6 million to fund cancer research initiatives. More information on Love Your Melon can be found at loveyourmelon.com. Follow Love Your Melon on Facebook, Instagram and Twitter. Feld Entertainment® is the worldwide leader in producing and presenting live touring family entertainment experiences that bring people together and uplift the human spirit. Properties include Monster Jam®, Monster Energy Supercross, Disney On Ice, Disney Live!, Marvel Universe LIVE!, Sesame Street Live!, DreamWorks Trolls The Experience (coming Fall 2018) and Jurassic World Live Tour (coming Fall 2019). Across the brand portfolio, Feld Entertainment has entertained millions of families in more than 75 countries and on six continents. Visit feldentertainment.com for more information.